Have been brought up on these kinds of snuffs. The first snuff tobacco I tried was Umbrella snuff. An easy to take dark Madras. Then I was introduced to TAS. It was ridiculously addictive! TAS has shut shop now. The only Madras type snuff I have access to is DS which is somewhat close to the TAS but lacks the slightly finer grind and the nicotine punch. The burn is good, like TAS. @Gokul Wasn't TAS just renamed TPS? Have not seen TPS. TAS was available everywhere 5-6 years back. Mostly DS Madras is available where I stay. No TPS or TAS. If at all there was TPS, it must have had a short life. @Gokul I've been using TPS here in the States for a year and a half now. I actually just ordered another case of it. ^^^^^^ Good stuff a favorite! Also like the N.C. Wasn't thrilled with Dholakia Madras toast but is still worth trying. TPS, NC, and my favorite NB. I'm sort of hoarding the last 100 grams of the kilo of NB I bought. All good stuff! My box is full of Umbrella brand Madras, one of the strongest snuffs I've ever tried. I googled to find out more about the brand a long time ago. Apparently produced by an Indian family business that also makes umbrellas! The TAS original was not scented. Umbrella brand snuff was the first I tried. Was medium coarse and dark.I then graduated to TAS which was way ahead in burn, taste and the nicotine. The grind was much finer. The local DS dealer has something similar to Umbrella. Wish I could get Umbrella and their strong versions of the good old Madras. @JakartaBoy- What does your Umbrella look like? Dark brown or golden? Treat them as an artisan snuff and store them in tightly closed glass jars and in the fridge. Had no issues with this procedure and the snuff will last for a very long time. @50ft_trad, The ghee is clarified butter with the proteins strained off. It will not go bad. Many in this forum have old Madras snuffs that are still usable. @JakartaBoy, Umbrella is still making snuff then. Good. I think you must have the stronger version. Will redouble my efforts to search for it. @Gokul - I have only tried SVS Madras and NB Madras. SVS does not have any ghee in it (from what I can sense) and is as strong as the NB - no major difference in grind too. The NB of course has a more smooth and nutty feel to it. I would love to try Umbrella brand, but its not available. SVS and NB are only the ones which were available - and now with NB becoming obsolete with my retailer, I am only left with SVS. @50ft_trad - Gokul is right. @basement_shaman has written elsewhere that his 5 year old tin too was unaffected. I too think they don't spoil and hence want to stock up as much as I can get because its kind of an acquired taste with them. I am liking them more the more I use them. Fresh generous sample of Madras Toast today in the mail today. This stuff is better than the past two I've received. Very tea toned fine grind with a good sweetness to it. Fairly easy to take despite being mostly dry with drip both ways but back is not irritating. Expecting some in tub from Mr.Snuff in the next week or so. Curious to compare the 12 day oldfactory sample next to the tub from Mr.Snuff. Thanks @Manit_Joshi at Dholakia. @nicmizer nice!! Would be super if you could review it vis 'a vis the other Madras' you've had. The "varra podi" is golden brown, strong with a good burn and has a great tobacco taste. The "nei podi" is much darker and easy to take. It is used mainly to make the "varra podi" mellow. My mix used to be 20:80. The curing process of the tobacco leaf, is different from the N.Indian snuffs. It brings out the natural tobacco aroma. you guys are aware that 6 Photo has a Madras type snuff, right? They have LA Natural. Totally different from the Madras types. I agree, LA Natural is tobacco flavored but very different. Its milder and smoother tobacco than the Madras types and doesnt have the burn the Madras types give. I think there would be people who would like either of them according to their preferences. I've only tried Dholakia's Madras Toast and found it superb. Its irregular and unpredictable availability, however, is most frustrating and tormentous thing (apart from TPD instigated general range reduction). 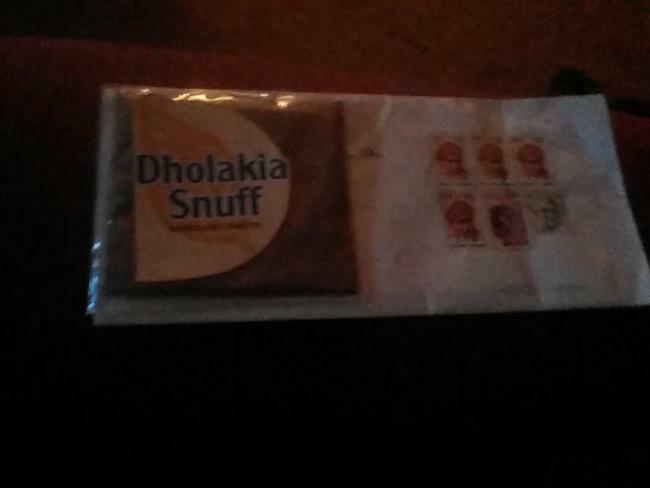 Curious to try other madras snuffs, but they are virtually unavailable for me. The only steady-stocked online vendor of madras (hookah1) do ship to Europe, but the shipping alone is over 70 USD and there's a very high risk of customs seizure in my country. I would buy a case of NC and T.P.S. immediately, despite the pricey shipping, yet a fair chance of confiscation deters me from placing an order. Dholakia's Sparrow could be a good substitute, but sadly its a bird of equal rarity in snuffstore / mrsnuff's depot, too. 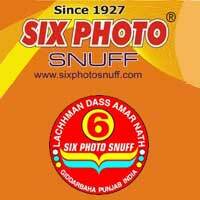 Maybe @sixphoto could launch its own brand-new Madras snuff? It seems the demand for it is growing and the current offer doesn't keep in step with it. LA natural is very nice snuff on its own, but it's really way too mild for madras-type. Eager to try that Vikas! 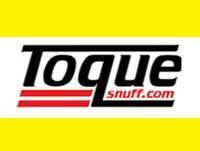 @newbiesnuffer , I have already sent you and @ Gokul free samples for evaluation . A very wise move @sixphoto, thanks for great news! I am on tiptoe with curiosity and definitely will be one of the first buyers. Thanks, Vikas! @sixphoto - eagerly waiting. There's one more in the range. It just came into my mind: FUBAR Toasted is uber-roasted madras, too. I had shinkansened through some decent 75 g in my record-breaking time.